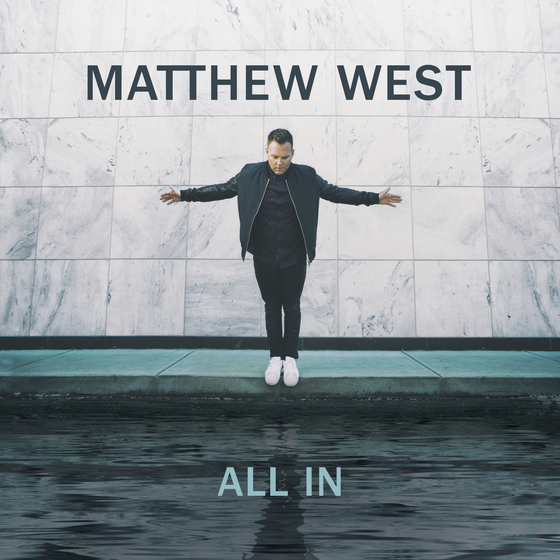 Nashville, Tenn. (January 17, 2018) – Matthew West is already going All In to the new year! The four-time GRAMMY® nominated singer/songwriter has already seen a No. 1 with “Broken Things” on the Christian Airplay chart with the single currently sitting at No. 2 on Christian Airplay and No. 3 on the AC Monitored chart. West's hit song made its way to TV airwaves with ABC’s “The Good Doctor” using the song in promotion for the hit show. February and March will find West touring arenas nationwide as part of THE ROADSHOW Tour alongside for KING & COUNTRY and more. For the latest touring information, click here. All In, his newest album, marks his most vulnerable release to date. The record is framed around the desire to go "all in" in every area of his life including, faith, family and relationships. Inviting fans into the same journey, West encourages followers on social media to share their #AllInCommitment goals for the new year. Listeners will also be able to share in a six-week devotional series around the All In theme through West’s ministry, popwe. To sign up for the series, click here.